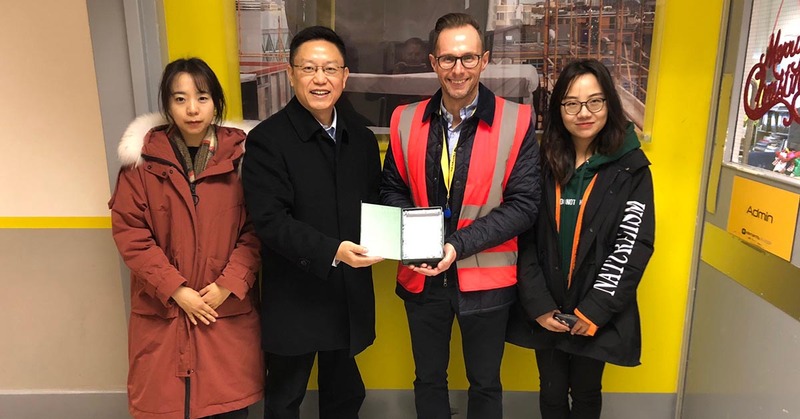 Dr Wei Pan, Executive Director for The Centre of Construction and Infrastructure Development along with two researchers from The University of Hong Kong have visited Elements Europe’s manufacturing facility to gain insight and advice into modular construction. Dr Pan has been tasked by the Hong Kong Government to head up a high rise modular division for the city. The Government has released a policy which states that the city is in need of significant new housing provision over the next two years to meet demand. To achieve this their vision is to use modular construction. The main purpose of Dr Pan and his team’s UK trip, assisted by Build Offsite, was to collect information from leading modular manufacturers to gain advice, direction and insight into the manufacturing, delivery and implementation process in the UK, to identify how this can be adapted to China’s resource and infrastructure capabilities. “We are honoured to be selected to help advise Dr Pan and we look forward to seeing Hong Kong deliver modular housing to the city.” Commented Stuart Marshall, Sales & Development, Elements Europe.